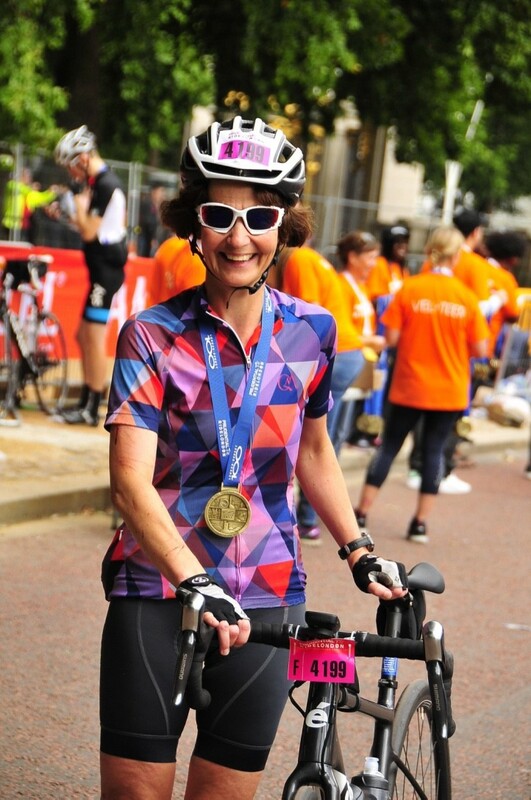 Home » News » Nicola’s challenging Ride London race! Nicola Whittock entered Ride London to raise funds for BTRC in memory of her husband Simon, who died from a brain tumour last year and who was himself a keen cyclist. She completed the 100 mile London – Surrey cycle race on 30th July 2017 but, according to Nicola, the day did not go smoothly! Nicola, who set herself a fundraising target of £2,000 for this event, has raised over £5,600! Read Nicola’s moving account of Simon’s fight for life.